ugglaI don’t care if it’s just for one series, Dan Uggla is making sure that baseball remembers his name before he’s gone for long. The fan-favorite Marlin is now making some new fans in Washington, and hopefully reigniting the Nationals clubhouse in the process. Tuesday night, Uggla tallied five RBIs over his final two at-bats, capping Washington’s incredible comeback victory over Atlanta with a three-run homer in the ninth inning. There are few things I enjoy more in baseball than Uggla’s sweet swing, back-and-forth slug fests, and the wails of Atlanta Braves fans as they choke on their own tears to the beat of Satan’s own chop house music. Tuesday night featured all of those things. Some background on this story: After Uggla’s classic tenure with the Florida Marlins (2006-2010), he spent parts of the next four seasons with the Braves, his average declining all the while. In 2014, the Braves released him as his batting average sat at .162. The San Francisco Giants picked him up and shortly thereafter released him. Before this season, the now-journeyman second baseman was signed by the Nats, and has racked up substantial playing time due to an injury to third baseman Anthony Rendon. 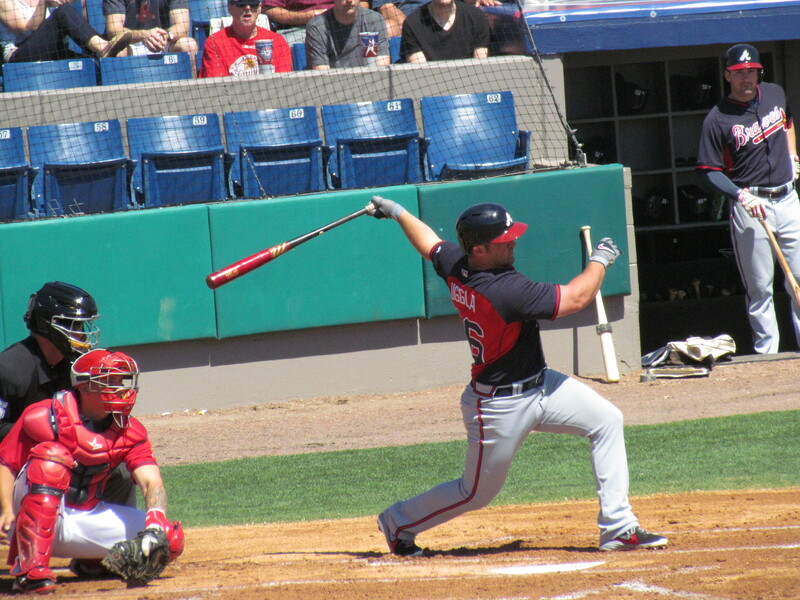 Monday, the Nationals began a series at Turner Field, marking the first time Uggla had played as a visitor in Atlanta since leaving the Braves. Uggla tripled in Monday night’s match up at Turner Field, a game the Braves won, inciting boos from the shallow citizens of Atlanta who apparently will not forgive him for faltering under their unconditionally negative regard during his tenure with the Braves. It’s one thing to boo your own player for his under-performance, but to harass him for success elsewhere is a lack of respect. And for someone who works as hard at the game as Uggla does, I’m sure he did not take those boos lightly. Instead, he channeled all of his career aspirations into a game for the ages on Tuesday. The Nationals fell behind 9-1 after two innings, and slowly began chipping away at Atlanta’s lead. By the top of the seventh, the score stood at 11-7 in favor of the Braves. Uggla stood in with two runners on and drilled a triple to right field, his second three-bagger in as many nights, drawing the Nationals within two runs. But he waited until the ninth inning to finalize his revenge on the Braves. Washington was down 12-10 in the top of the ninth with two on and one out. 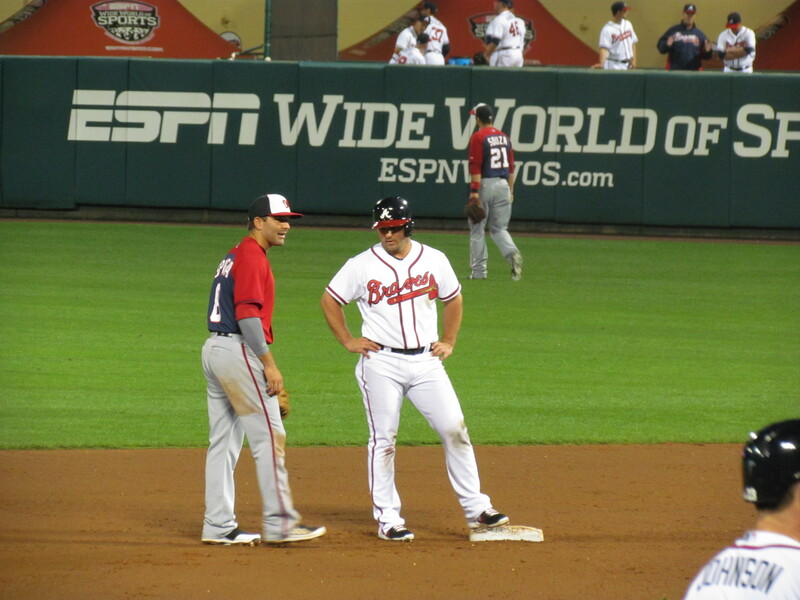 Uggla fell behind in the count 0-2, though “protect the plate” is not in his vocabulary. In other words, Uggla always has the “dinger sign.” Fearlessly, Uggla crushed the next pitch deep into the left field seats, shocking the stadium and sending Washington’s dugout into a frenzy. The Nats held on for the 13-12 victory, and gained the priceless momentum of a thrilling division victory in the process. Washington’s struggles thus far have been well-documented. 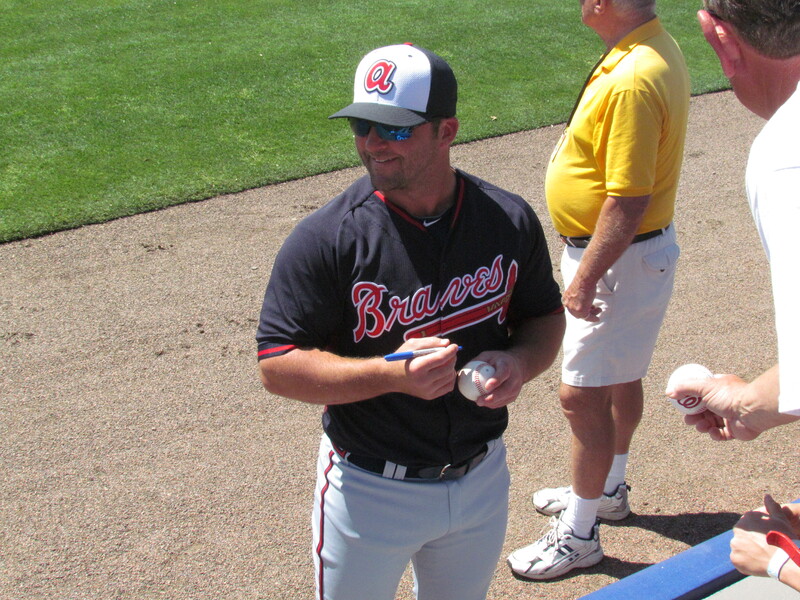 Leave it to the unlikely source of Dan Uggla to turn things around. Marlins broadcaster Rich Waltz ensured that we will never forget how to say Uggla’s name, but Uggla himself is ensuring that we will say his name. And even if just for one night, we’ll remember his impact on this great sport we all love. For that, I’ll forever be a fan of the stocky, free-swinging second baseman…whose name. Is Dan. Uggla.